they do their research ahead of time. love the "most rewatchable" part of each discussion. best episodes, IMO, were "Taken" and "The Godfather". The Ringer’s Bill Simmons, Chris Ryan, and Chuck Klosterman only need a couple smokes, a cup of coffee, and some good conversation about the 1994 coming-of-age dramedy ‘Reality Bites,’ starring Ethan Hawke, Winona Ryder, and Janeane Garofalo. Stick around at the end of the episode to hear Bill Simmons talk to Ethan Hawke about his experience and interpretation of ‘Reality Bites’ 25 years later. The Ringer’s Bill Simmons, Chris Ryan, Sean Fennessey, and Shea Serrano “didn’t know you liked to get wet,” but they did know you liked to rewatch the 2001 crime thriller ‘Training Day,’ directed by Antoine Fuqua and starring Denzel Washington in an Oscar-winning performance for the ages and Ethan Hawke. With their hoodies and f***-you flip-flops, HBO and The Ringer’s Bill Simmons, Sean Fennessey, and Chris Ryan “aren’t coming back for 30 percent”—they are coming back to recap and celebrate 2010's ‘The Social Network,’ starring Jesse Eisenberg, Andrew Garfield, and Justin Timberlake; directed by David Fincher; and written by Aaron Sorkin. The Ringer’s Jason Concepcion, Mallory Rubin, Sean Fennessey, and Andrew Gruttadaro dream big and embark on the ambitious task of recording a podcast within a podcast within a podcast to capture the essence of 'Inception,' Christopher Nolan's 2010 visual spectacle starring Leonardo DiCaprio, Ellen Page, and Joseph Gordon-Levitt. The Ringer’s Bill Simmons, Sean Fennessey, and K. Austin Collins and The New York Times’ Wesley Morris head to Philly to sprint up and down the Rocky steps and revisit 2015’s instant boxing classic ‘Creed,’ starring Michael B. Jordan and Sylvester Stallone and directed by Ryan Coogler (3:00). They also go deep on Jordan's and Coogler's career choices and the current state of movies (1:03). The Ringer’s Chris Ryan, Sean Fennessey, Jason Concepcion, and David Shoemaker lace up their bowling shoes and make themselves a batch of White Russians to celebrate the 20th anniversary of the 1998 cult classic ‘The Big Lebowski,’ starring Jeff Bridges and John Goodman and directed by the Coen brothers. The Ringer’s Bill Simmons, Sean Fennessey, and K. Austin Collins and The New York Times' Wesley Morris are lured deep into the suburbs under false pretenses to discuss the pivotal social thriller ‘Get Out,’ directed by Jordan Peele and starring Daniel Kaluuya and Allison Williams. The Ringer’s Bill Simmons, Shea Serrano, Chris Ryan, and Sean Fennessey go see about a girl and rewatch the 1997 classic ‘Good Will Hunting,’ starring Matt Damon, Ben Affleck, and Robin Williams. They also discuss alternate endings, sequels, and whether ‘Good Will Hunting’ is the best Boston movie of all time. The Ringer’s Chris Ryan, Sean Fennessey, and Jason Concepcion are the heroes we need right now, but not the ones we deserve, as they dig deep into Christopher Nolan’s gripping 2008 'Batman' sequel, ‘The Dark Knight,’ starring Christian Bale and Heath Ledger. The Ringer’s Bill Simmons, Andy Greenwald, and Chris Ryan are on the run and eager to clear their good names by rediscovering the 1993 thrill ride ‘The Fugitive,’ starring Harrison Ford and Tommy Lee Jones. The Ringer’s Bill Simmons, Shea Serrano, Chris Ryan, and Jason Concepcion all undergo “experimental surgery” to assume each other’s identities and execute the perfect live show as they dive deep into 1997's action-sci-fi blockbuster 'Face/Off,' starring John Travolta and Nicolas Cage. The Ringer’s Bill Simmons, Sean Fennessey, Shea Serrano, K. Austin Collins, and Jason Concepcion take a stab at analyzing the 1996 meta-horror classic ‘Scream,’ starring Neve Campbell and Drew Barrymore. They go deep on the shocking nature of killing your star in the opening scene, the rules and tropes of horror film, and the killers' ridiculous plan to stab each other at the end. The Ringer's Juliet Litman, Amanda Dobbins, and K. Austin Collins pick out their trendiest '90s outfits and head to Beverly Hills to revisit the 1995 teen classic ‘Clueless,’ starring Alicia Silverstone and Paul Rudd. The Ringer’s Juliet Litman, Amanda Dobbins, and K. Austin Collins sing Celine Dion and let the disaster jokes fly as they go deep on 1997’s Oscar Award–winning blockbuster ‘Titanic’ starring Leonardo DiCaprio and Kate Winslet. They discuss DiCaprio’s "cute factor," James Cameron’s obsession with the actual Titanic, and whether Rose would have chosen Jack if the ship hadn’t sunk. HBO and The Ringer’s Bill Simmons is joined by Jason Concepcion, Shea Serrano, and Donnie Kwak to relive the 1994 nonstop thrill ride ‘Speed’ starring Keanu Reeves and Sandra Bullock. They consider the perfect formula for 'Die Hard' remakes, expose the improbability of driving fast through L.A. traffic, and break down the film's critical bus jump. HBO and The Ringer’s Bill Simmons and Chris Ryan lead us deep into the inner recesses of 1991’s Oscar-winning psychological thriller ‘The Silence of the Lambs,’ starring Anthony Hopkins and Jodie Foster. They pay tribute to Ted Levine’s iconic performance as Buffalo Bill, wonder what would have been with the movie's originally intended cast of Gene Hackman and Michelle Pfeiffer, and rehash their favorite and most haunting moments. The Ringer’s Juliet Litman and Amanda Dobbins deep dive into the 1998 romantic comedy ‘You’ve Got Mail,’ starring Tom Hanks and Meg Ryan. They discuss Tom Hank’s epic acting run in the '90s, the hallmarks of a Nora Ephron movie, the formula for a successful romantic comedy, how this movie predicts the future and hints at modern catfishing, and more. Hot takes fly as The Ringer’s Bill Simmons, Shea Serrano, Jason Concepcion, and Mark Titus dive deep into 1991’s 'Point Break' by debating which scenes have aged the best and worst, where 'Point Break' ranks among bank robbery films, and who won the epic showdown between Keanu Reeves and Patrick Swayze. HBO and The Ringer’s Bill Simmons is joined by Chris Ryan to revisit and examine the Oscar-winning ‘The Departed,’ directed by Martin Scorsese and starring Matt Damon and Leonardo DiCaprio. They break down everything from who was in the original intended cast to the film's most memorable moments, as well as what the movie is trying to say about society through DiCaprio’s and Damon’s characters. And, of course, they unpack Jack Nicholson’s memorable Boston accent. HBO and The Ringer’s Bill Simmons is joined by Chris Ryan and Amanda Dobbins to celebrate and appreciate 1992’s ‘A Few Good Men’ in the inaugural episode of 'The Rewatchables' by discussing what they love about the movie (1:00), which scenes have aged the best and worst (9:30), and whether Jo Galloway was a good lawyer (42:35). HBO and The Ringer’s Bill Simmons is joined by Chris Ryan to induct ‘Heat’ into the Movie Hall of Fame. Topics include: Was De Niro vs. Pacino worth the hype? (2:50). Was this peak Michael Mann? (8:25). Was this one of the great ensemble casts ever? (14:40). What were the 10 most important lessons from 'Heat'? (21:00). What was Pacino’s best line? (41:50). Who won this movie—Pacino or De Niro? (52:20). HBO and The Ringer’s Bill Simmons is joined by Chris Ryan and Juliet Litman to induct ‘Jerry Maguire’ into the Sports Movie Hall of Fame. Topics include: Rod Tidwell spin-offs (6:00), Tom Cruise Oscar snubs (12:00), the opening montage (16:00), Jonathan Lipnicki’s pinnacle (22:00), “show me the money” (28:00), the best Cruise movies (35:00), the birth of the modern sports movie (40:00), and Cruise’s romantic-lead chops (45:00). HBO and The Ringer’s Bill Simmons is joined by Chris Ryan to induct ‘Moneyball’ into the Sports Movie Hall of Fame. They cover the state of Brad Pitt’s career (0:45), the past 20 years of sports movies (2:34), the making of ‘Moneyball’ (9:25), their favorite moments from the film (14:20), and the future of sports movies (51:54). HBO and The Ringer’s Bill Simmons is joined by Chris Ryan and Rembert Browne to induct ‘White Men Can’t Jump’ into the Sports Movie Hall of Fame. They cover Woody Harrelson’s hustling tactics (6:00), Wesley Snipes’s height (11:00), Rosie Perez’s polarizing character (17:00), the essence of pickup basketball (26:00), Woody’s fashion (30:00), Wesley Snipes’s career trajectory (37:00), the black-actor championship belt (44:00), ‘New Jack City’ power rankings (48:00), and the premise of the planned remake (52:00). HBO and The Ringer’s Bill Simmons is joined by Mark Titus and Chris Ryan to induct ‘Blue Chips’ into the Sports Movie Hall of Fame. Topics include: the most ridiculous moments (5:00), Nick Nolte’s intense coaching style (14:00), Bob Knight’s mystique (19:00), point-shaving scare tactics (23:00), Shaq’s final college game (30:00), the player cameos (35:00), rebooting ‘Blue Chips’ (42:00), post-retirement Larry Bird (47:00), and the best college basketball movies (53:00). HBO and The Ringer’s Bill Simmons is joined by Chris Ryan to induct ‘Any Given Sunday’ into the Sports Movie Hall of Fame. They break down Oliver Stone’s bizarre editing (02:25), Cameron Diaz’s underrated ownership chops (08:15), Al Pacino’s last great performance (11:16), the Tao of James Woods (15:15), the eye-opening concussion/painkiller subplots (16:44), Jamie Foxx’s breakout role as Willie Beamon (21:17), the craziest cameos (34:27), and where the “Inches” monologue ranks in the pantheon of great sports movie speeches (45:04). 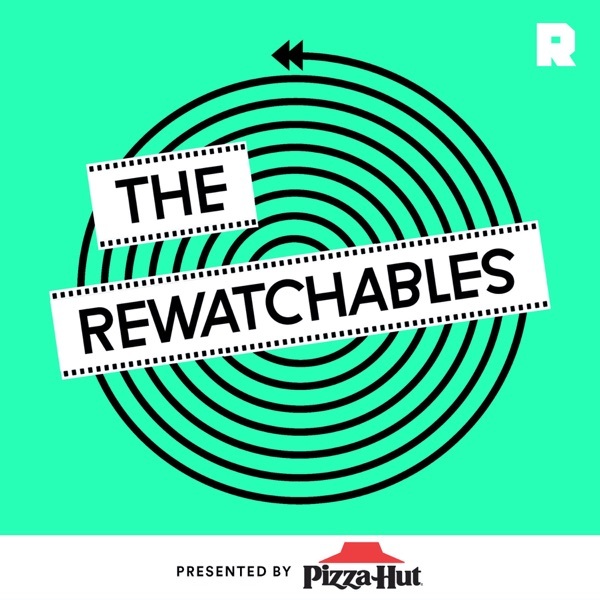 'The Rewatchables,' the newest film podcast from the Ringer Podcast Network, features The Ringer’s Bill Simmons and a roundtable of people from The Ringer universe discussing movies they can’t seem to stop watching.